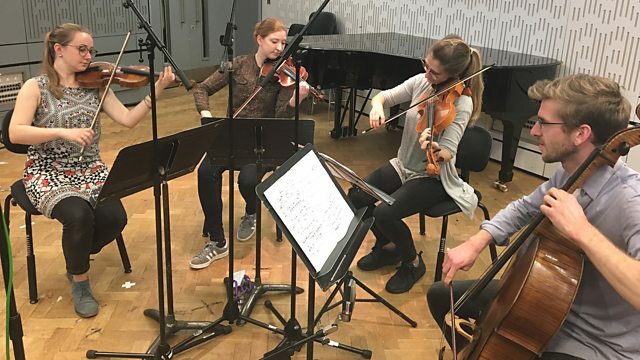 Katie Derham presents, with guests including the Consone Quartet, who perform live before a recital at the Lammermuir Festival, and baritone Sir Thomas Allen, who sings live. Ensemble: Wallace Collection. Conductor: Simon Wright. Gabrieli and St.Marks: Venetian Brass Music: The Wallace Collection/Wallace/Wrig. Performer: Daniel Barenboim. Orchestra: English Chamber Orchestra. Director: Daniel Barenboim. Choir: The Cambridge Singers. Conductor: John Rutter. Singer: Mary Seers.